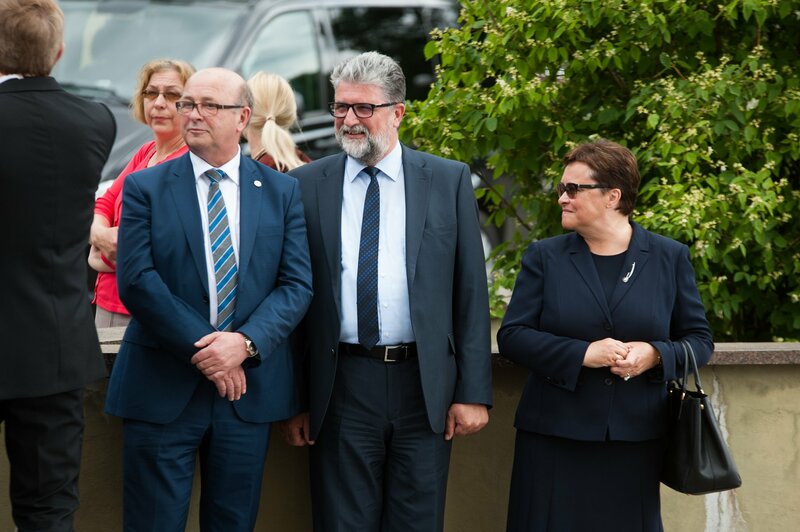 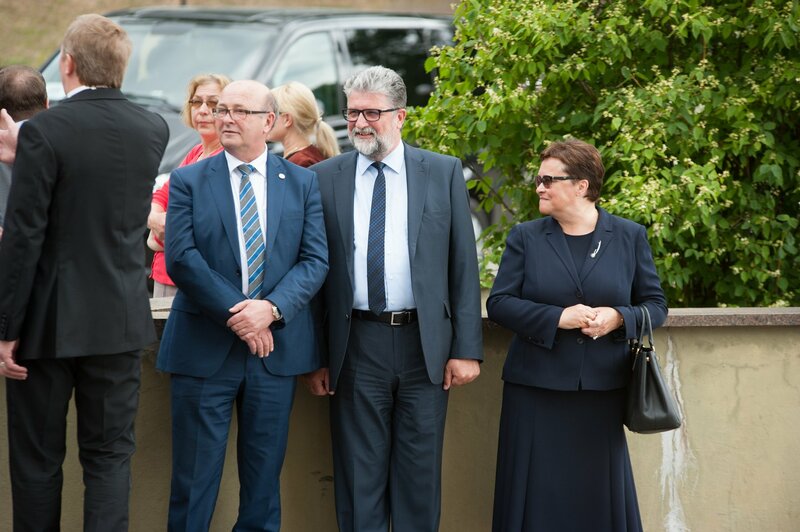 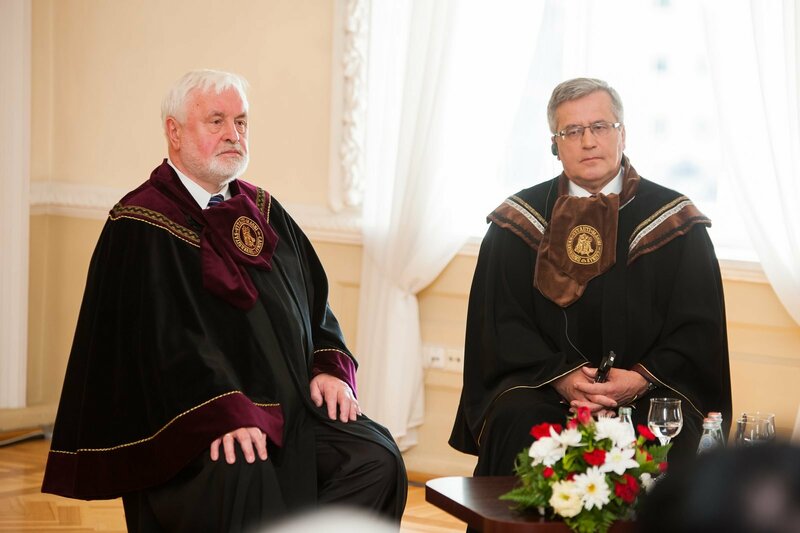 On Tuesday 30 June, 11 a.m., VMU Honorary Doctorate was awarded to His Excellency the President of the Republic of Poland Mr Bronisław Komorowski. 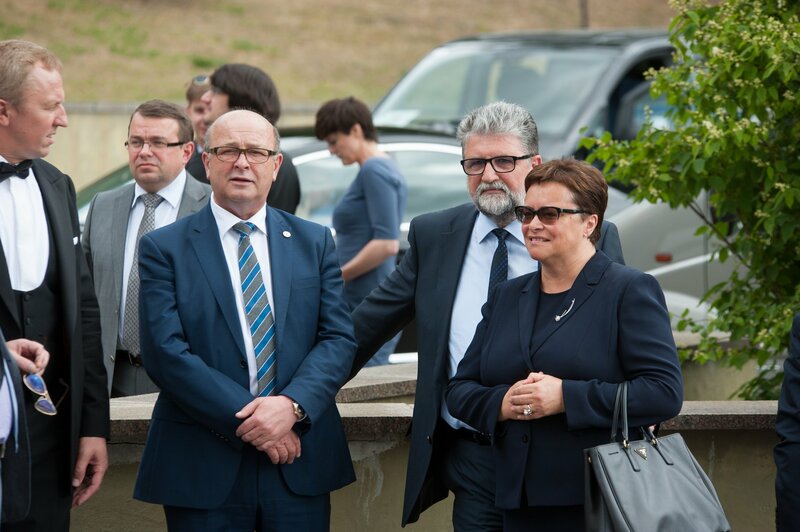 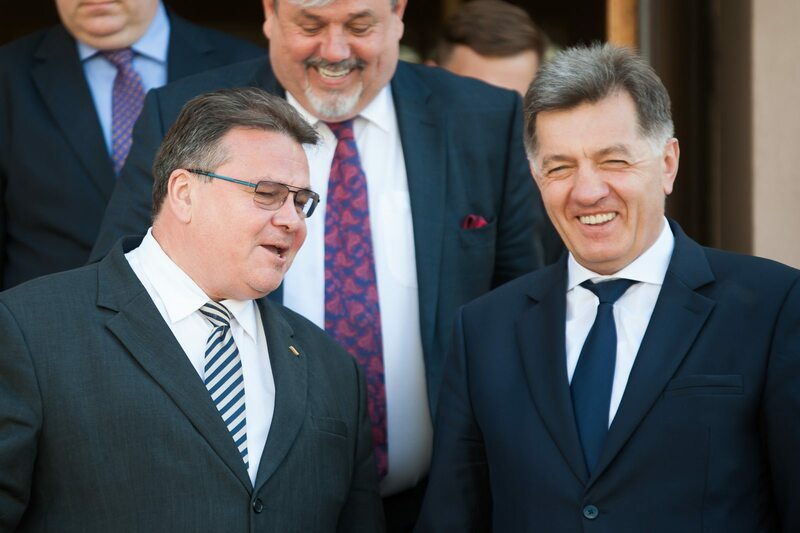 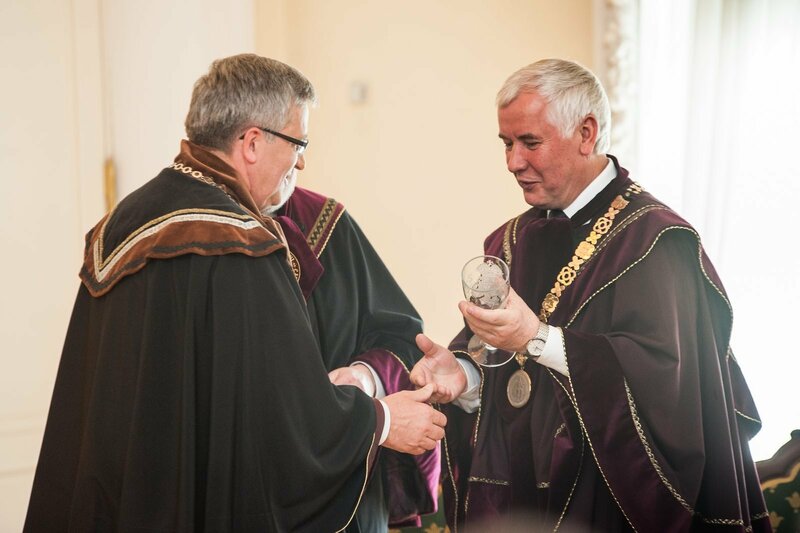 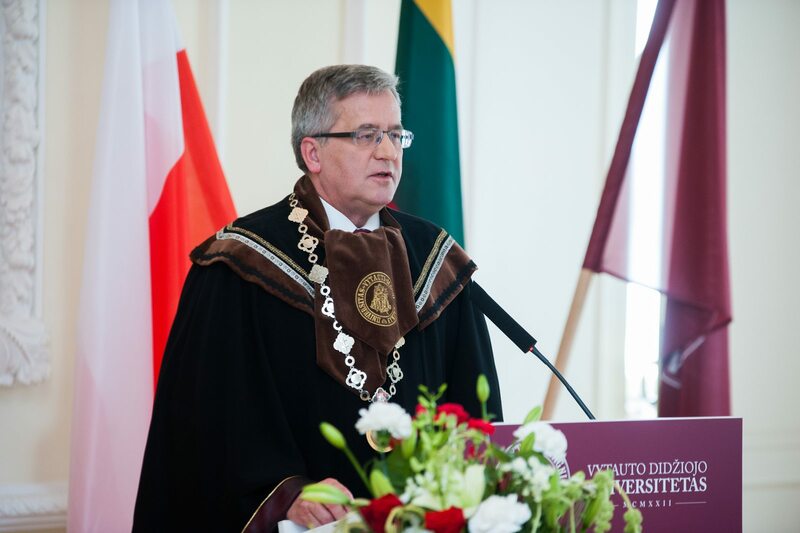 The title of VMU Honorary Doctor has been awarded to Mr Bronisław Komorowski for consolidating democracy, fostering good neighbourly relations between Lithuania and Poland, and supporting national cultural values. 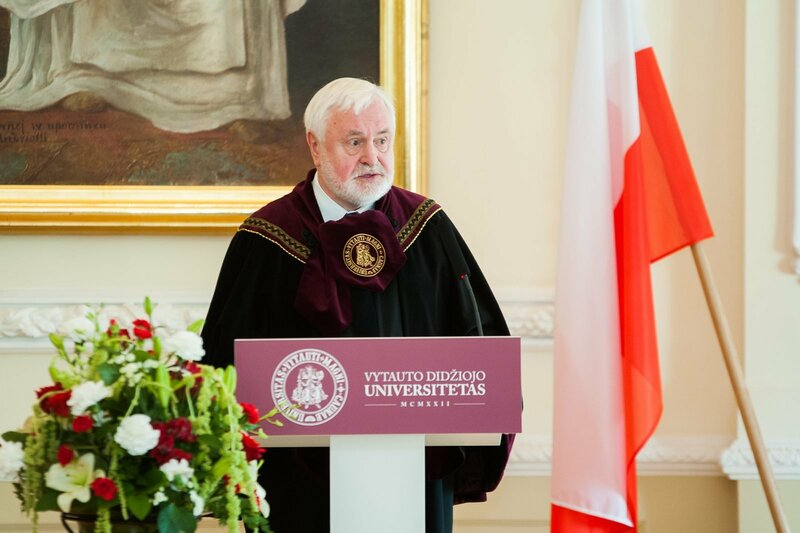 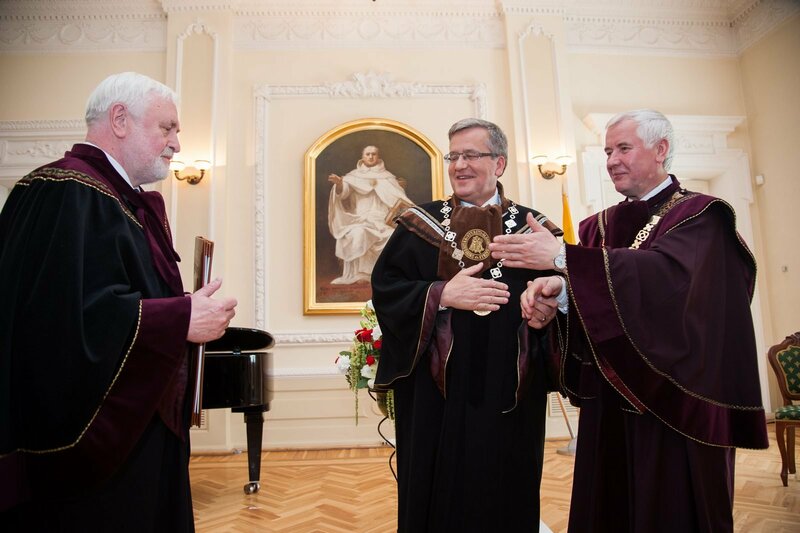 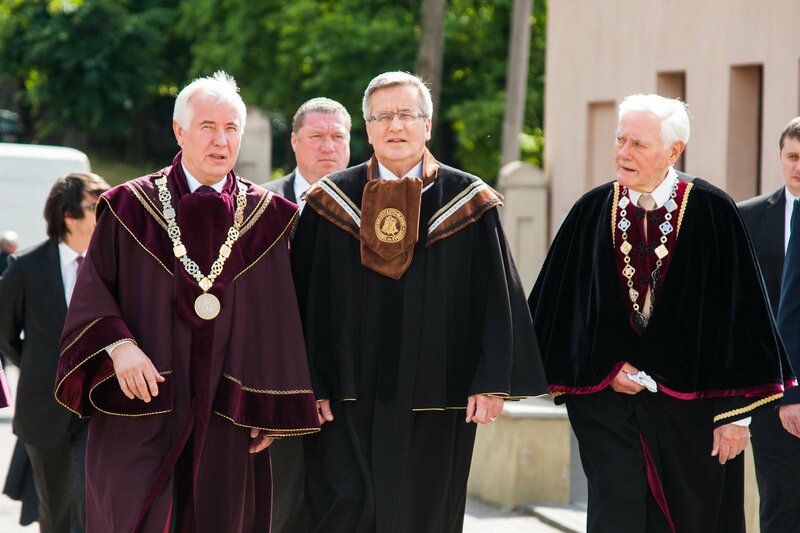 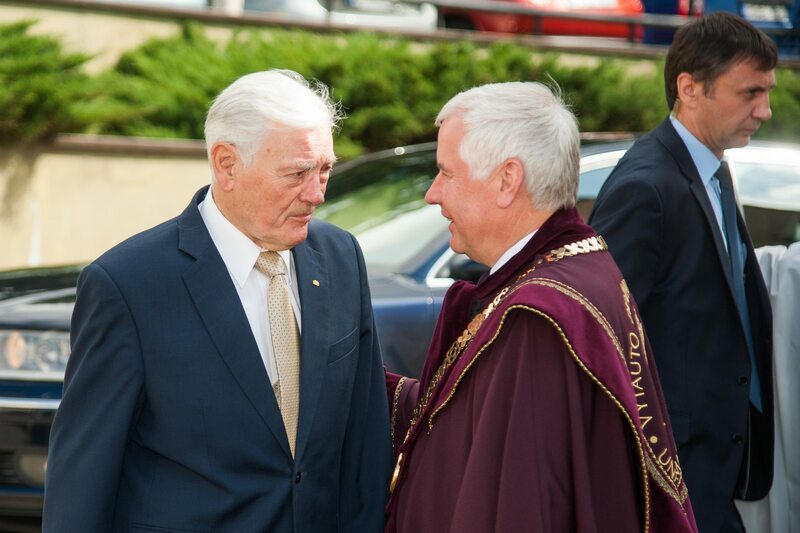 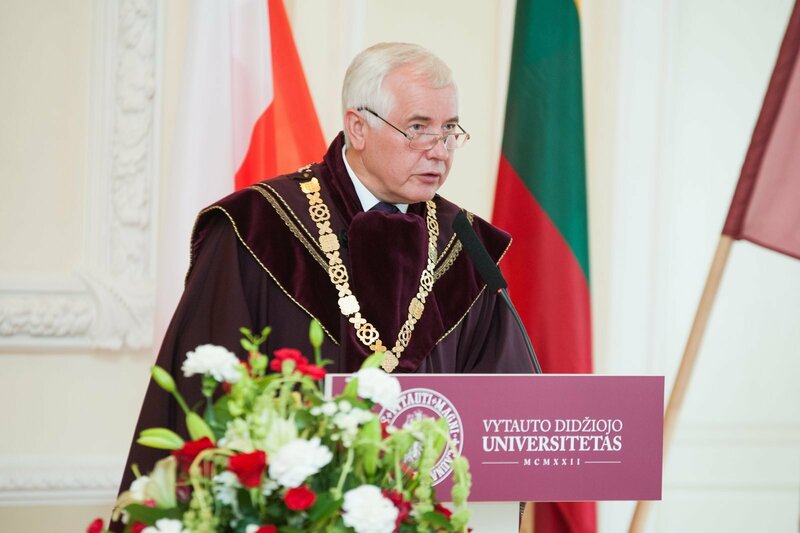 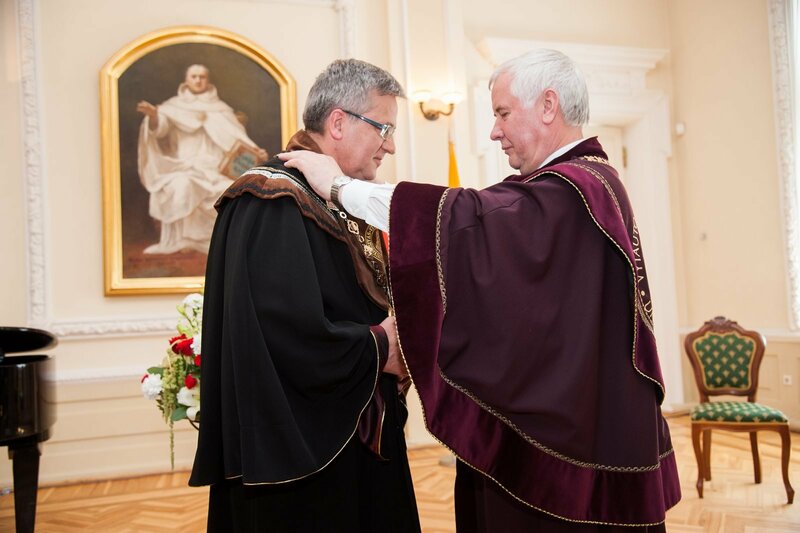 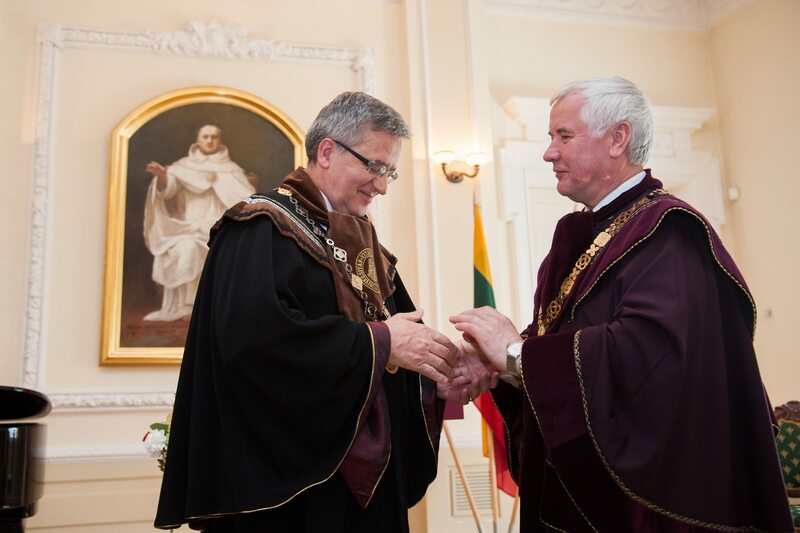 Vytautas Magnus University awards Honorary Doctorate to internationally renowned citizens of Lithuania and other countries for their merits in science and culture, as well as for the state of Lithuania and Vytautas Magnus University. 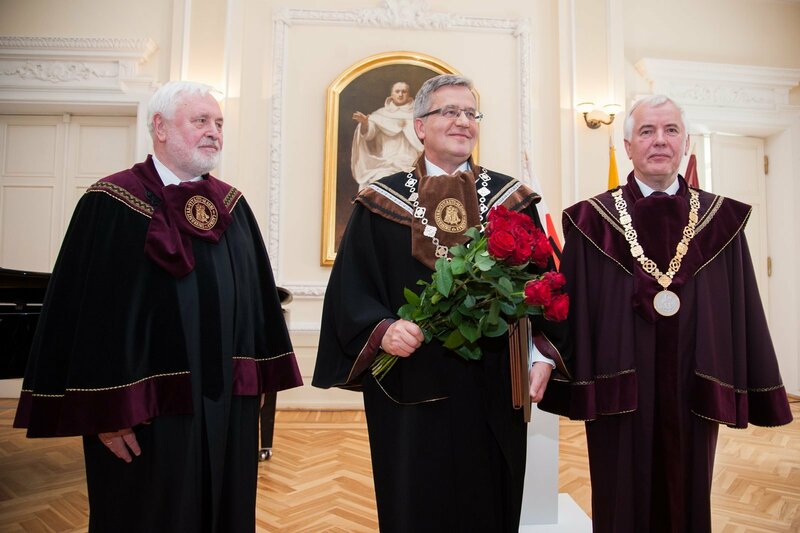 Representatives of the VMU Music Academy performed for the audience. 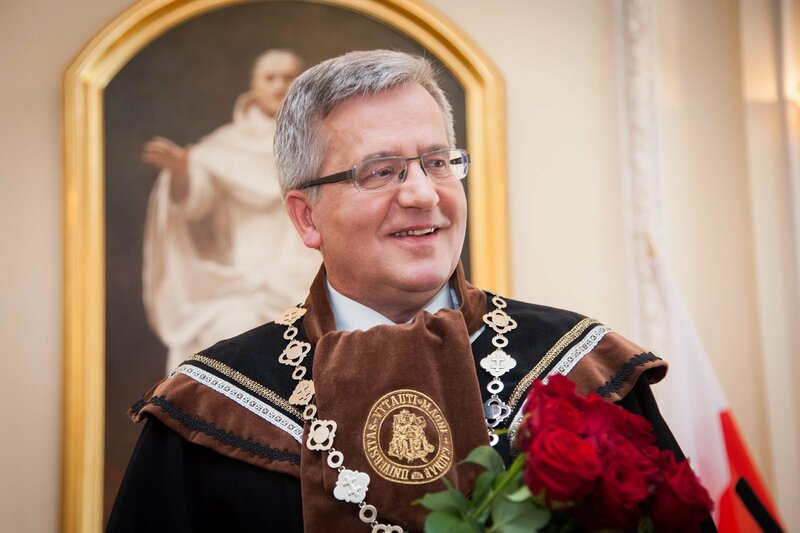 Mr Bronisław Komorowski is a Polish politician, historian, President of the Republic of Poland (from 2010). 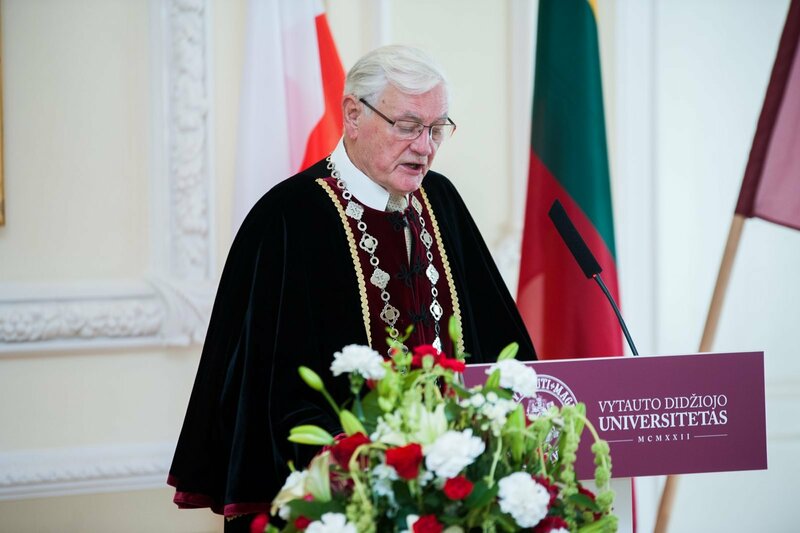 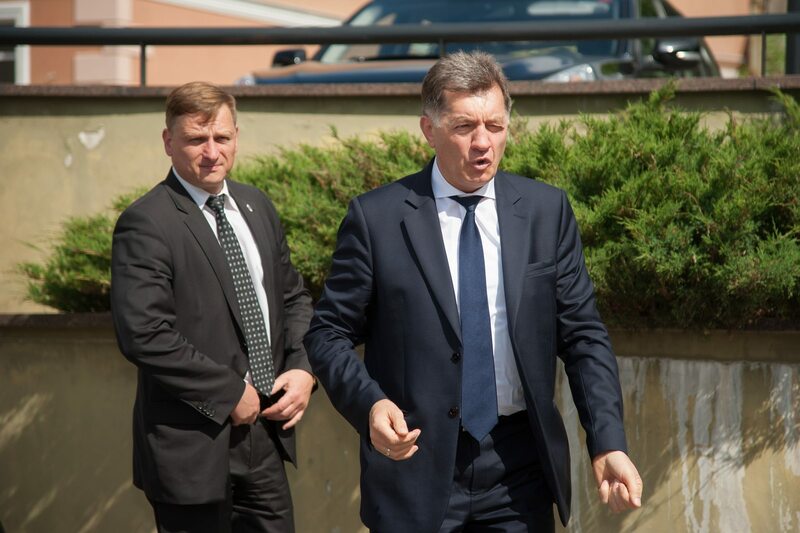 He is a former anti-communist opposition activist, member of Parliament, Minister of National Defence, and Marshal (Speaker) of the Sejm of the Republic of Poland.